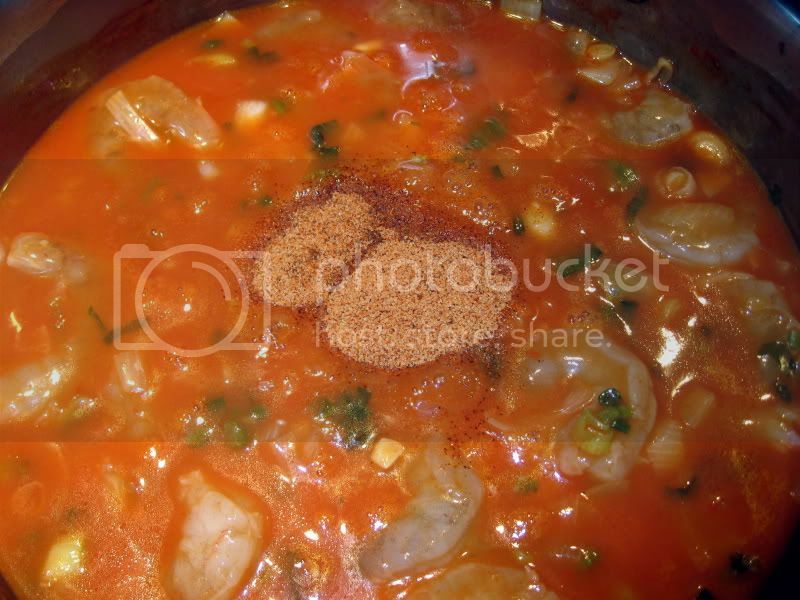 Shrimp Etouffee- a quick 15-minute dinner. The recipe I was handed down by my mother. It's very easy and delicious! 1lb shrimp, peeled, deveined, tails off. Cooked white rice for serving. 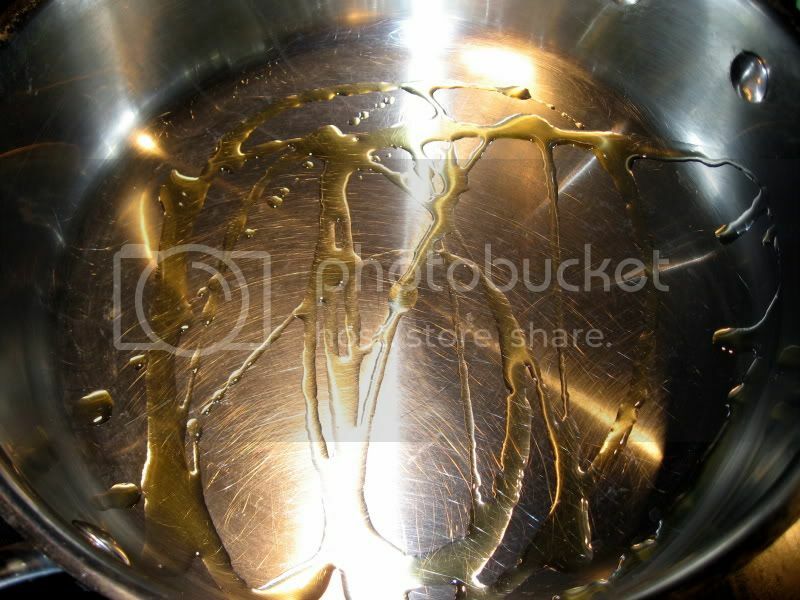 Add about 1 tablespoon of oil to a large sautee pan, set to medium heat. 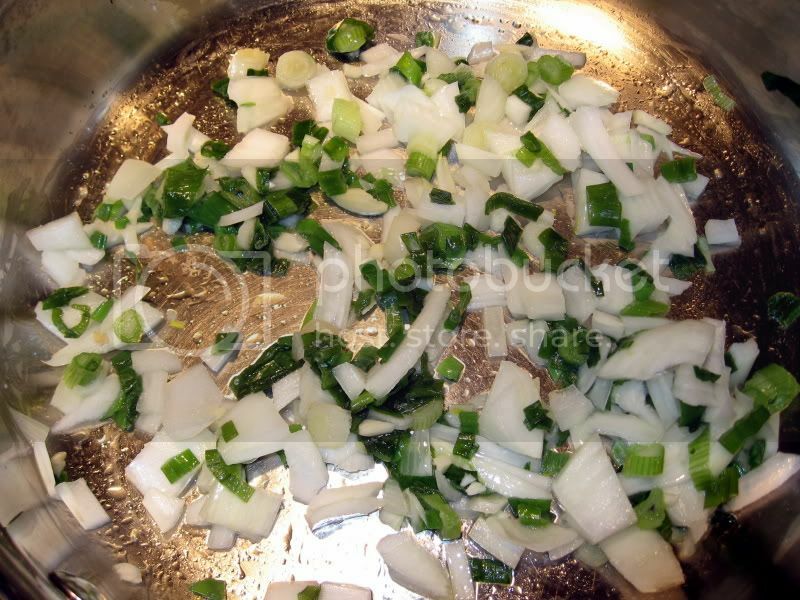 Add the chopped onions and garlic and green onions to the pan and sautee for a few minutes until soft. 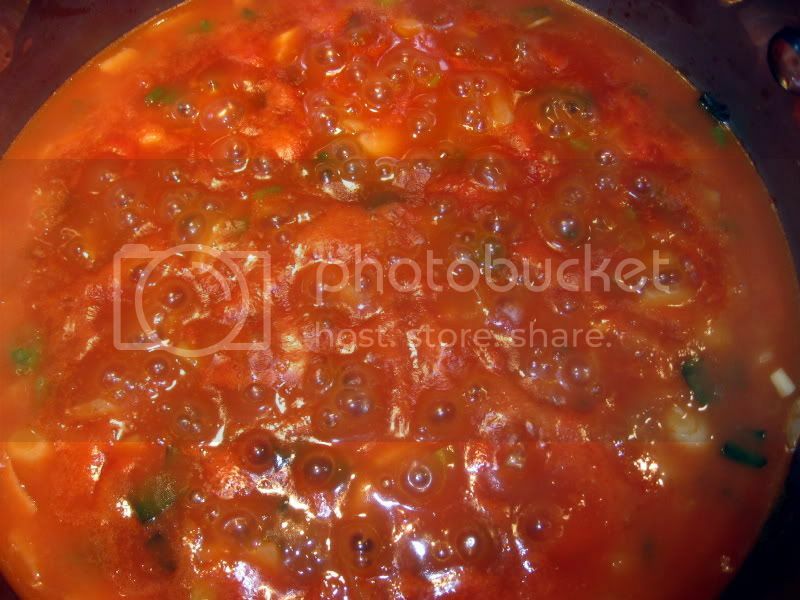 Add the can of tomato sauce. Bring to a simmer over medium heat. 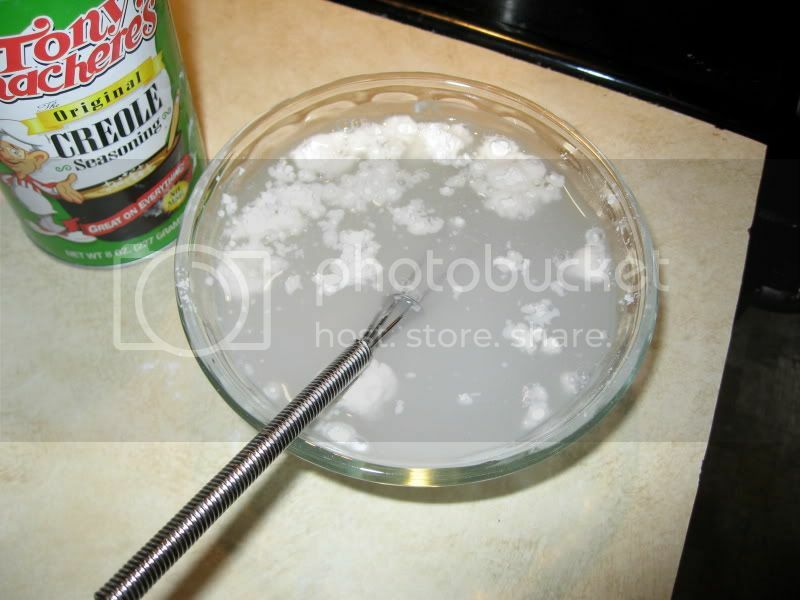 Mix the tablespoon of flour into the 8oz of water, whisk until no longer lumpy. Add the flour/water mixture to the pan. 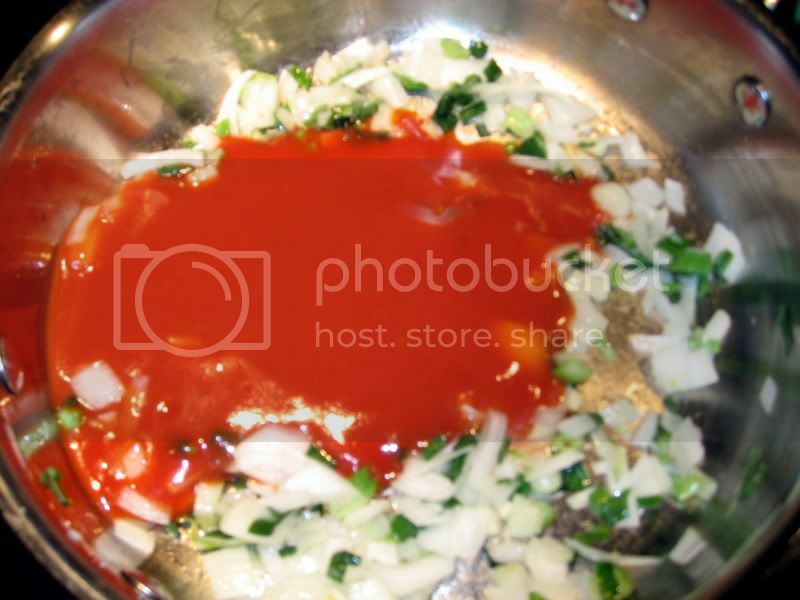 Add the creole seasoning. 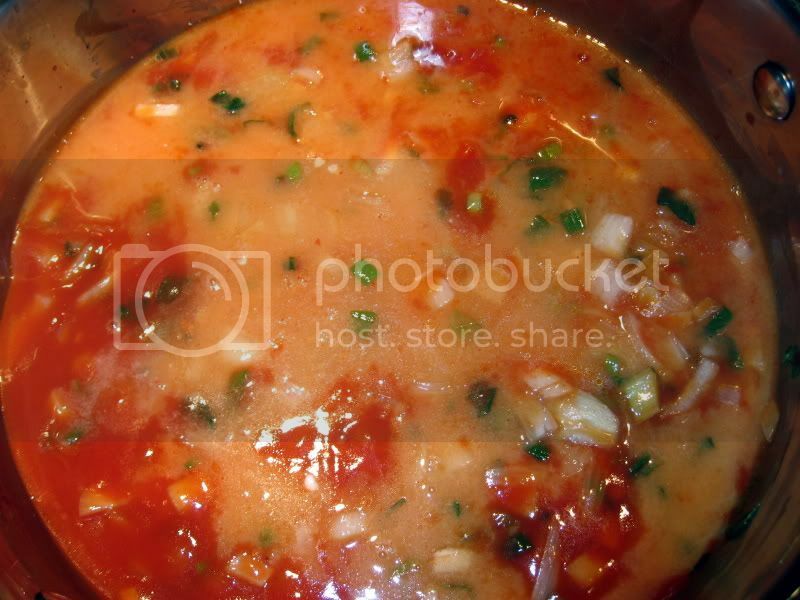 Start with half a tablespoon at first as an entire tablespoon may be TOO spicy for some. 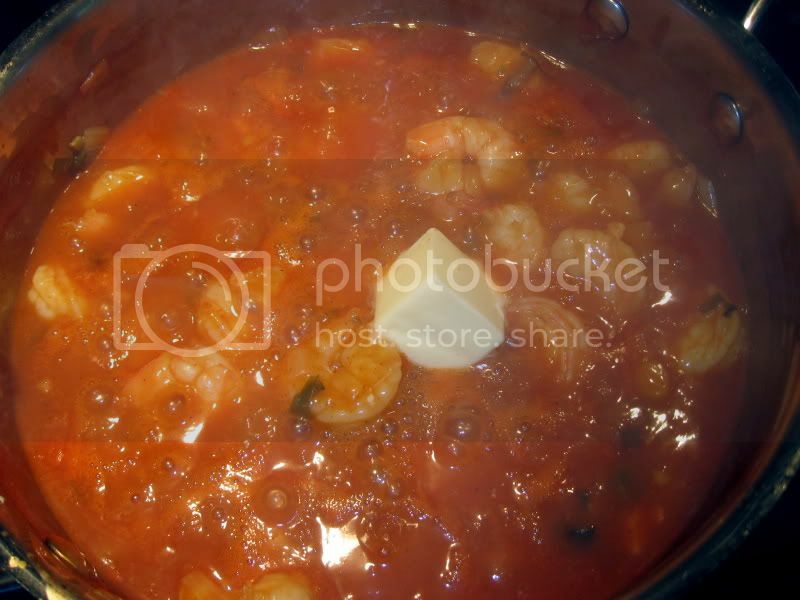 Cook over medium heat until shrimp are no longer pink (5-8 minutes). Once the shrimp are cooked completely, turn off the stove burner, and stir in the 2 tablespoons of butter, allow to cool slightly. 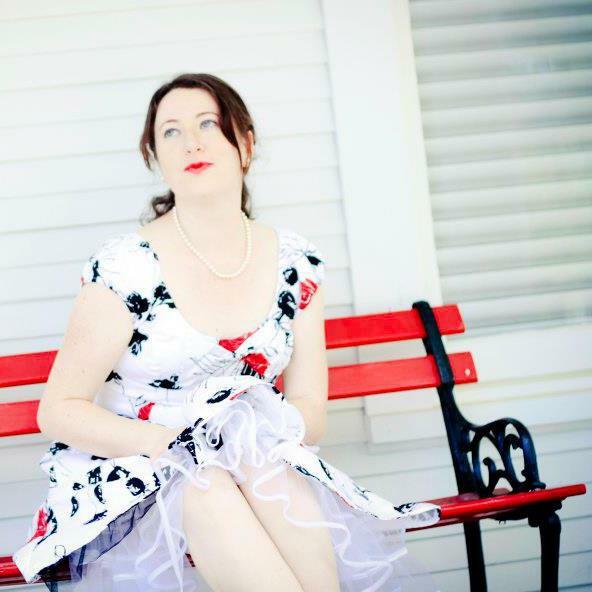 by step pictures were a great touch!!! I look forward to more recipes! 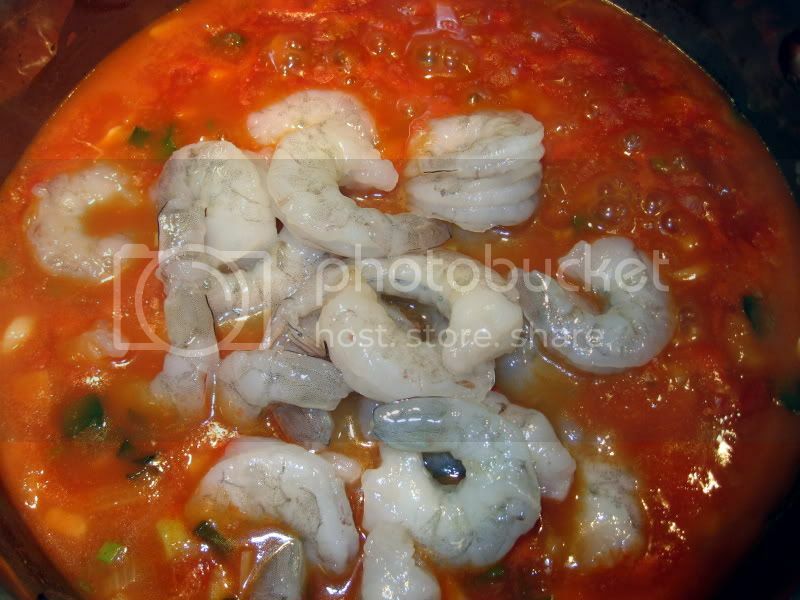 I have never cooked with shrimp before, so this might be a dumb question! Is the shrimp frozen or thawed? I'm SO going to try this :) Thanks Amanda! I tried this tonight. It was Fantastic!!!!! Along with the garlic parmesan pull apart bread. Great meal! 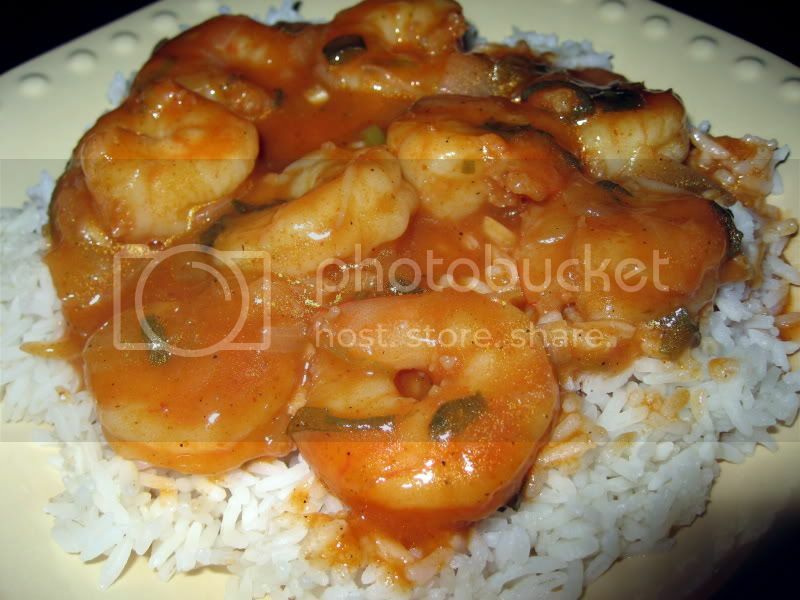 this dish would cost around $18 at a nice restaurant and you would only receive 5-6 shrimp. this recipe is so simply, tastes great and you have left overs! 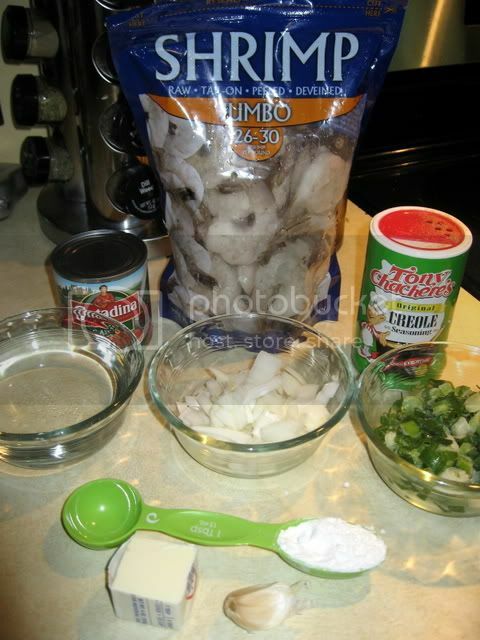 While I love the shrimp, we aren't big on creole seasonings. Is there anything else you think we could substitute for this?